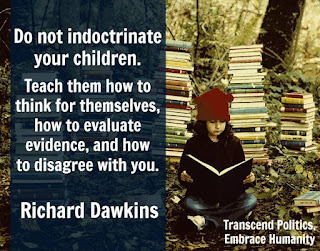 Brainwashing of young minds that are vulnerable happens in many religions. The clergy of many religions commonly teach children and the youth, things that may or may not be in line with the original teachings of the religion. These concepts however lead to the students developing a warped world-view which causes a lot of discord in their life and in several cases, in the lives of others. Islam has been accused of this a lot in recent times but this is prevalent, with less devastating consequences in other religions as well. Christianity teaches some very intolerant stuff (only believers in Jesus Christ will be granted eternal life) to its adherents. Some Hindu sects also teach their children that Christians and Muslims are their enemies and that India belongs to the Hindus and that other followers of other religions are outsiders and should stay "within their limits". This kind of indoctrination of young, impressionable minds is very effective in ensuring a lifetime of hate and resentment towards others. I started thinking a lot about this due to three things that happened coincidentally at the same time. I watched the Pakistani film "Khuda ke Liye" which depicts how a young man from Lahore is brainwashed by a Maulana who quotes verses of the Quran out of context and makes him do some very despicable things. The film climax shows a court scene where another Maulana (played very well by Naseeruddin Shah) demolishes each of the fanatic's arguments with references from the Quran. The film goes to show how people misuse religious scriptures which are written in languages that are understood today by a few to disastrous consequences. Around the same time, I saw a television debate involving the actor Irfan Khan about his comments that Islam has become very ritualistic and people are not following the real tenets of the religion which call for inner change and introspection. I find this is true for nearly every religion! Most religions today have become extremely ritualistic and emphasize external activities rather inner changes. Islam has indeed come under a lot of scrutiny, as I said before, due to the rather dramatic and serious effects of its indoctrination in the form of horrendous and innumerable terror strikes that have killed many. 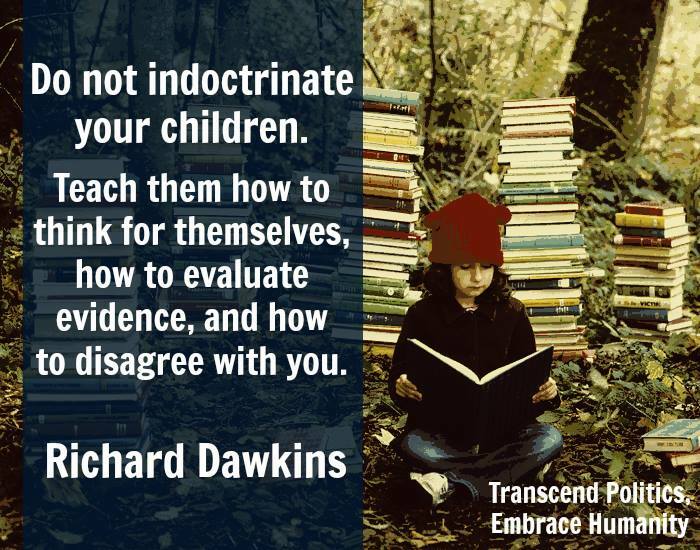 However, as is evident, this indoctrination is going on, in some form or the other in almost all religions. I, rather surprisingly, realised recently that I myself have been a victim of this indoctrination by a Jain monk. Suffice it to state that this has resulted in me developing a very deep-seated view about certain things which has affected my thinking about certain aspects of my life. My recent foray into meditation has helped me realise this and has also helped me in cleaning up my thinking. It is obviously not easy. It will take a lot of effort to dust away the many layers of negative thinking that have gathered over the years. Most religious texts are written in old languages that are not popular in today's age. They are also often written in the form of poetry with a generous use of metaphors and allegories. Typically, these can easily be misinterpreted by the reader. So, some clergymen can mistakenly read some parts of the texts in a way that inspires them to indoctrinate the youth of their religion to do things that were never intended by the author of the texts. Another possibility is that the clergymen actually understand that the original intent was never to cause harm to anyone but despite this, quote from the scriptures in a manner that justifies the acts, mostly out of context and to suit their own deceitful agendas. Whatever the cause, it is important for saner minds to prevail. Let Islam not be the only religion that is reviled. Though it is possibly causing the most harm, other religious men and women are also guilty of the same crime, albeit, to a lesser extent. Are you justifying Jihad? I mean by saying that every religion has the same kind of indoctrine stuff. indoctrine that prevails doesn't leads to violence like jihad. DO you agree? I am not justifying the other two religions indoctrinates. But want to point out the danger of Justifying Islam's indoctrine on Jihad. It is not just religions. Religion is just an organized manifestation. It has more to do with power structures. Freethinking threatens the powerful. Those in power achieve unfair advantages. To retain their privilege, it is important that others without that privilege do not ask inconvenient questions. So "what did you do with the money?". "Why is it that I have to eat last?" " Why should the sweeper not enter the house?" "Why do I need to touch the feet of creepy uncle?" All have the same root. "Don't ask stupid questions. That is the way things are." That is always the answer we get.